The Bench Press is the most popular lift in the gym. It’s the upper-body exercise that lets you lift the most weight and builds upper-body strength like no other exercise since it activates so many muscle groups in the upper-body. These muscles include the pecs, deltoids, triceps, forearms, hand muscles and abdominals. 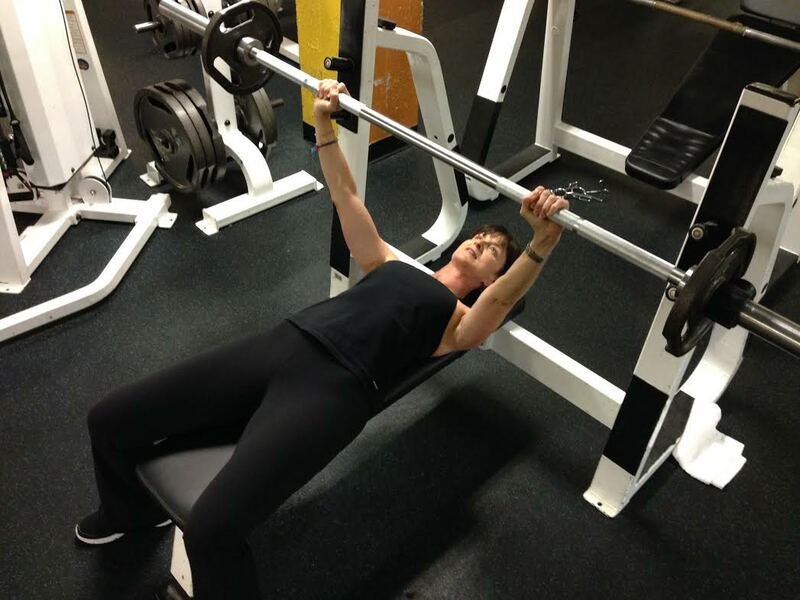 If done correctly, the bench press can increase range of motion in the upper body and increase bone density. Bench Press is a free-weight exercise, requiring more activation of smaller stabilizing muscles in the shoulders, vs a chest press machine that guides the movement through a fixed plane. In a fixed environment balancing and stabilizing is not required, making the chest press machine a good learning tool for the elementary movements of a chest press. But to fully develop the strength and flexibility of the upper body a move to the Bench Press is necessary. With proper progression and safe practices the Bench Press can be very effective. Start with just the bar to build strength in the small muscles. Always use collars on the bar when plates are added. A spotter is strongly recommended, especially when attempting maximum weights. Learn proper form to avoid injuries to the shoulders, wrists and lower back. RCSC’s free 15-minute clinic for the month of May is instruction in the Bench Press. Three different days and times are available, making this clinic accessible for everyone. Sign up at the front desk for one of the following times: Mondays at 9:30am with Sharon, Thursdays at 6:00pm with Robert or Saturdays at 11:00am with Devin. Sharon is a former competitive bodybuilder and Devin and Robert have each won medals in several PowerLifting competitions and they are excited to share the secrets to proper Bench Pressing! Then compete in our Bench Competition to be held May 28! See the front desk for more details.